Viknesh Vijayenthiran May 8, 2018 Comment Now! 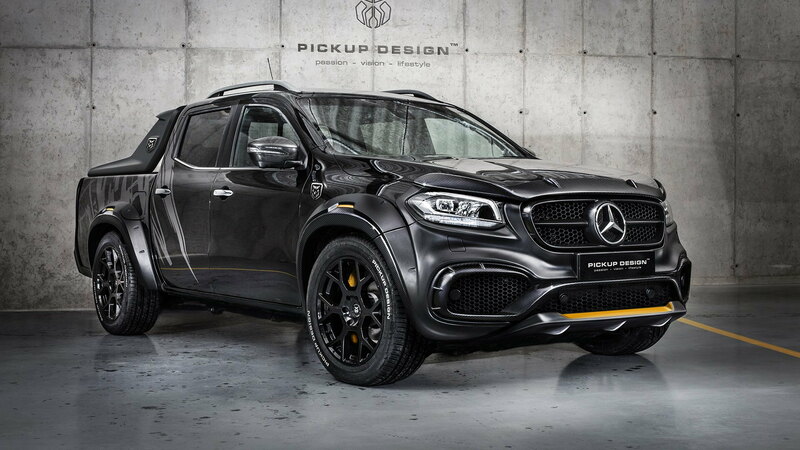 Mercedes-AMG isn't planning to upgrade the X-Class anytime soon—it probably has to do with the fact the mid-size pickup truck is based on a donor Nissan platform—but there are plenty of tuners out there willing to step in. 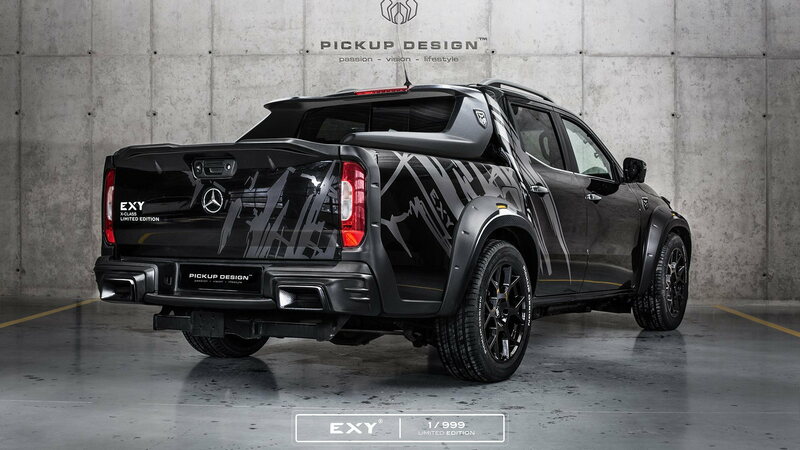 One of them is Pickup Design, the pickup truck division of Polish tuner Carlex Design, which has just unveiled a wild X-Class that looks as aggressive as anything coming out of AMG's Affalterbach headquarters. The upgrade is called the EXY and it comes in two styles: Off-Road Extreme and Urban. 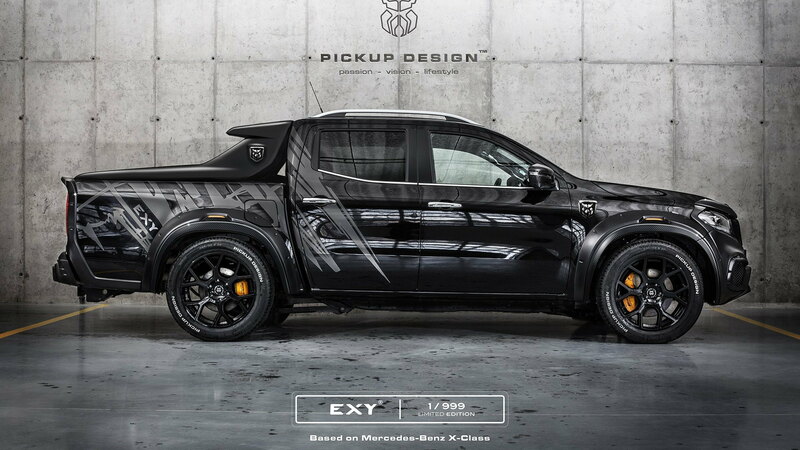 Neither offers any powertrain upgrades but the trucks certainly look the part with their body extensions and custom wheels. The front fascia even incorporates the A-wing motif used by AMG. 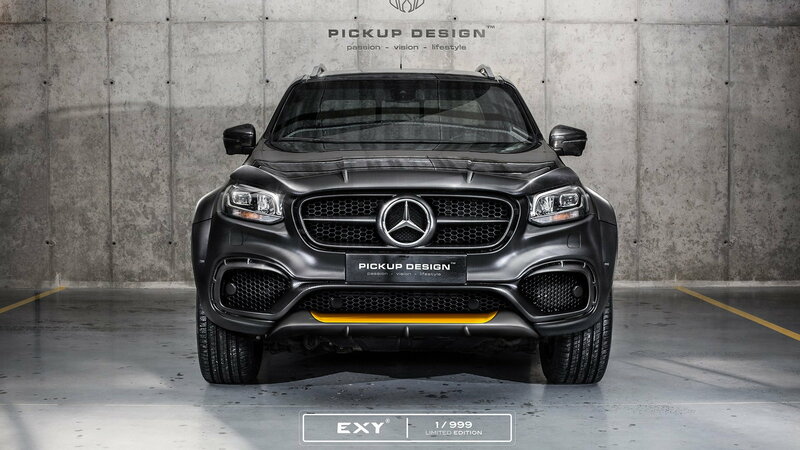 Pickup Design's parent company is a specialist when it comes to car interiors, so it's no surprise that the EXY-spec interior looks like something you'd find in an exotic. Body-hugging seats feature at the front and are lined in leather. Matching leather trim also lines the dash and center console. It certainly would be a shame if such an interior were to be scuffed by work boots or soiled with dirt from a construction site. As mentioned above there aren't any powertrain upgrades. Mercedes offers the X-Class in X220d, X250d and X350d models, all of them diesels. The most potent, the X350d, is fitted with a 3.0-liter turbocharged V-6 with 255 horsepower and 406 pound-feet of torque. The truck is good for 0-62 mph acceleration in 7.9 seconds and a top speed of 127 mph. 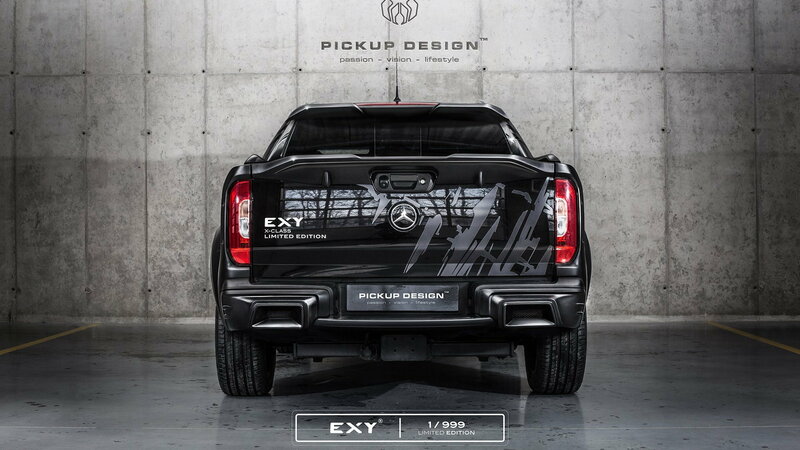 Pickup Design hasn't said what markets it will offer the EXY upgrade in, though the United States won't be on the list as the X-Class isn't sold here.